Home » Forums » Bugs in content types » H5P broken grading. Says 0/1 yet shows that they got correct answers. H5P broken grading. 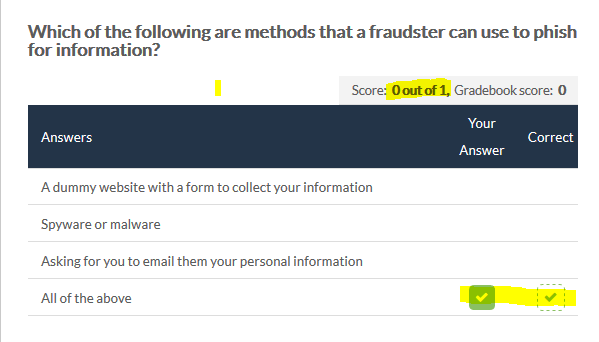 Says 0/1 yet shows that they got correct answers. I could not possible test how often this happens, but we get a couple calls about this a day. This happens with all multiple choice questions. The only other question type we have is true and false however, but they seem all to work perfectly.